An explosion in Aldergrove on Wednesday sent two people to hospital with serious injuries. Just after midnight, Langley RCMP along with fire crews were called to a townhouse complex in the 27100 block of 31 A Avenue, for reports of an explosion. 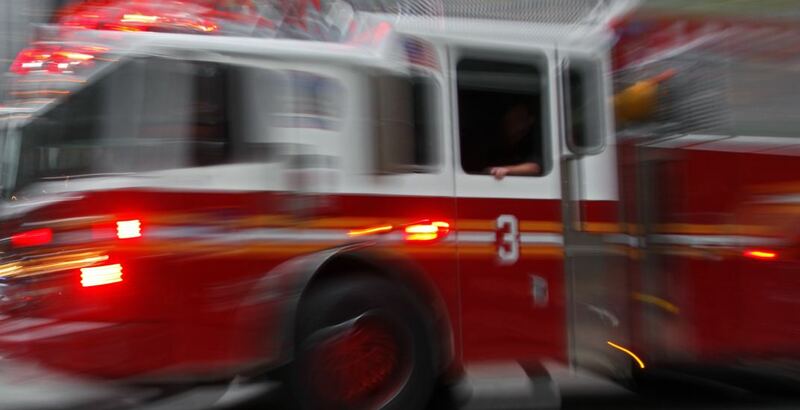 Upon their arrival, emergency crews found three residences engulfed in flames and the two victims in the middle of a garage suffering from severe burns. One of the men was taken to hospital by air and the other by ground ambulance. “Police believe there may have been a butane extraction site established in the centre garage and will continue their investigation in this regard,” said Langley RCMP Cpl. Holly Largy. As a result, the Langley RCMP Drug Section has assumed conduct of the investigation. The two other units were “heavily damaged” by the blaze, and police are currently waiting for the word from structural engineer, regarding whether the site is safe to enter or not. Langley Client Support & Victim Services attended to provide support and assistance to the families from all three residences displaced by the fire as well.